Home Guides Can Male And Female Betta Fish Live Together? Can Male And Female Betta Fish Live Together? Can male and female Betta fish live together? 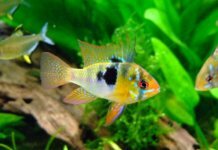 We all know that Bettas like to get aggressive and that you should never keep two males together – but what happens if you try to keep a male with a sorority of females in the same tank? Naturally, you’d assume that they can coexist peacefully – Bettas need to breed somehow, after all. But placing male and female Bettas together isn’t as easy as it sounds. Betta males are often very aggressive towards each other, even to females – and can’t easily live in a tank with them for long periods of time. However, this depends on the individual nature of a fish – some males may be more aggressive than others. Betta females are aggressive too – although not nearly as males. Keeping male and female Bettas together for mating purposes is possible, but you’ll have to closely monitor your tank under these circumstances. Because even in a male and female Betta mating situation, either fish could become aggressive. 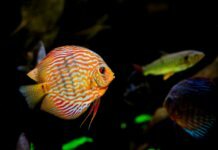 If you do plan to keep them together, you’d need to get a big tank (25+ gallons) with a lot of hiding places using plants, decorations, etc, so that your fish have a safe place to hide if they’re stressed out. We suggest that you keep an eye on your tank at all times and be ready to separate them at a moments’ notice if you notice too much aggression (the Bettas establishing a “pecking order” with light aggression is normal, but if it’s harsh and constant, you need to split them up). You absolutely need to keep Betta females in sororities of at least 3 to 7 fish. Never keep two females at once, because one will surely bully the other. They get along much better in larger groups. Of course, never keep more than one Betta male in a single tank. Due to their volatile nature, Betta males and females are usually kept in separate tanks and are often only paired only for breeding purposes. But many aquarists have pulled off having a community tank – you just need to be dedicated. If this isn’t your type of deal though, there are many suitable fish that are good tank mates for a Betta if you own a tank of 20+ gallons. Since Tetras are schooling fish, you’ll need a larger tank in order to keep them with Bettas. We recommend getting no more than 10 and no less than 8 Neon Tetras. These two species can co-exist because Tetras are tiny and stay out of the way of Betta fish. While Betta fish prefer dwelling at the top of the tank, Neon Tetras prefer the center part. Due to these different preferences, the two won’t become territorial and fight for the same space. 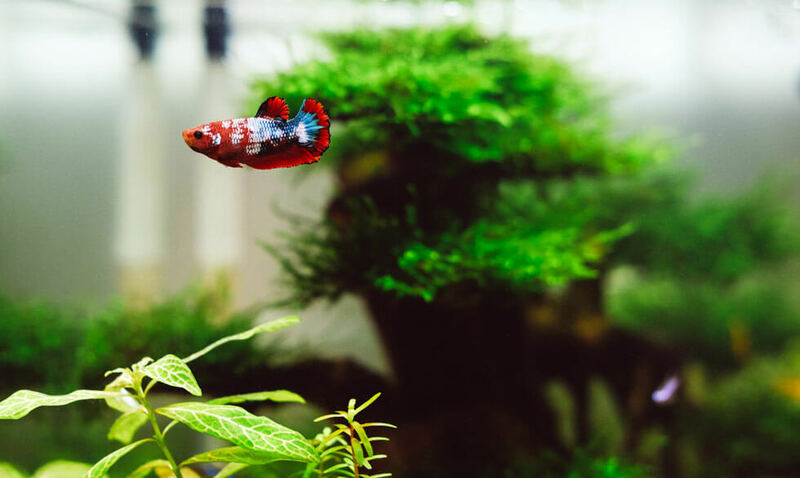 Keep in mind that some Neon Tetras can be nippy – and a long, flowing Betta’s tail can become a target of a particularly aggressive Neon Tetra. While this doesn’t happen too often – you should keep an eye out if pairing these two species. This species is very peaceful and can get along with almost any other fish, not just Bettas. They usually stay at the bottom of the tank and due to the grey color of their scales, most of the time they’re in camouflage. During feeding time, they the collect food that has fallen to the bottom of the tank and this is another reason why they don’t pose a threat to Bettas. If you want to get a Corydora Catfish, be aware that they thrive best in small groups. We recommend getting at least 4 along with your Betta. These tiny, schooling fish are very peaceful tankmates. Although they have the same food preferences like Betta fish, they surprisingly don’t fight over it. If you want to keep them together, you’ll have to find the ideal middle temperature for both species, as Bettas thrive in warmer water while Minnows like colder water. Ideally, they should be kept in groups of 6. 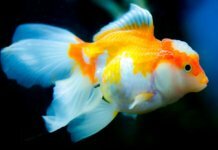 Previous articleHow Often Should I Clean My Fish Tank Filter?